Henry Monmouth’s Coronation: King, Conqueror and Legend. King Henry V. Historian Peter Ackroyd writes he was “clipped and precise … an efficient administrator, who looked to the details of his policies; he demanded much in taxation from his kingdom, but he never squandered money unwisely.” According to one of his contemporaries he was a King of great speech and refinement. On the 9th of April, 1413, the second and probably the most important monarch in the Lancaster Dynasty was crowned on Passion Sunday on Westminster Abbey. Unlike his father whose reign had triggered a crisis of legitimacy and been plagued with financial problems and Baronial rebellions, his son’s ascension was widely welcomed because he was, Dan Jones notes “king by right rather than conquest” and in the coming years, he had united all of England under a common cause. Best remembered for his military conquest, he was also a pious and an intellectual person. He was interested in good government and was very involved in the administration since his father’s government. In fact, far from being the rowdy and rebellious youth in Shakespeare’s play, he was an intelligent man who often challenged his father in government and showed he had a better understanding of court politics and enjoyed more popularity (both with the commons and magnates) than his father. He was rebellious however in terms of the way government should be run and was often outspoken about it, as soon as he became King however, a change was noted with Walsingham stating that “he changed suddenly into another man, zealous for honesty, modesty and gravity, there being no sort of virtue that he was not anxious to display”. 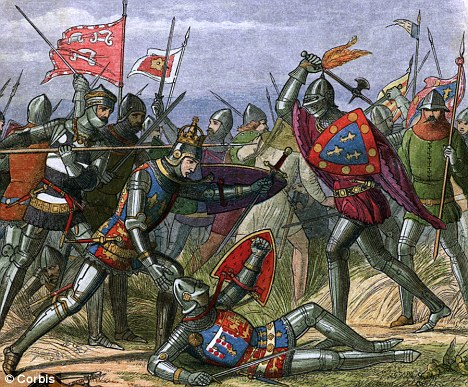 The Battle of Agincourt (1415) was a great and unlikely victory for the English that helped boost moral and was “a milestone in English culture long before Shakespeare” writes Licence, reshaped the image of Henry V. Many ballads were made following Henry’s victory such as the ‘Agincourt Carol’ and ‘Henry V’s Conquest of France’. In spite of his great administration, his reign was stained with blood long before the start of the war with France. In the autumn of that same year that he was crowned, he began a mass (and ruthless) persecution unlike any ever seen of Lollards. Among the many people imprisoned and burned at the stake was his longtime friend and chaplain, Oldcastle who had rebelled against him after he escaped imprisonment. After a failed attempt to assassinate the King in 1414, he and the other Lollard rebels were captured and burned as heretics. The following year he began his French campaign, one of the greatest ever seen in English history. In an unlikely turn of events, he defeated the French forces in a town called Azincourt, known today as Agincourt. Henry’s victories however can’t be simply attributed to his military genius. They were many factors involved, one of them was the long time divisions in the kingdom of France which had been brought about by the incompetence of their psychotic King, Charles VI who was also known as the “mad King”. The country was divided in two political factions, the Armagnacs and the Burgundians. 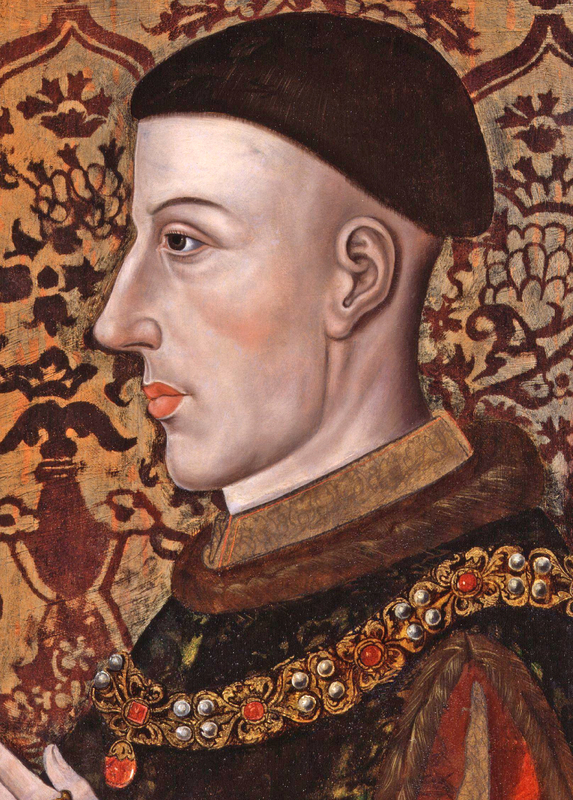 Initially Henry V acted as the neutral party and a mediator, claiming he wanted to bring peace to that kingdom. It soon became aware however, that the King’s true intentions were to take control of France. Instead of uniting against a common foe, French politics were so bad that the Burgundians sided with Henry V against the Armagnacs. The end result was Henry V winning the French throne, deposing the Armagnacs with the help of the Burgundians and negotiating a treaty with the mad King’s maligned consort, Isabel of Bavaria in which it was agreed that Henry would become King of France on Charles VI’s death and his union with his daughter, Princess Katherine Valois would help cement his claim for himself and his future offspring. After the Treaty of Troyes that had been signed by Henry V and the other principal negotiator representing her husband -Isabel of Bavaria- on May 21; Henry proceeded to marry the French Princess, Katherine of Valois. The two married the following month. In BBC’s Hollow Crown, an adaptation of Shakespeare’s play, the relationship between the both is depicted as romantic, but we have no idea if it was or not given that the couple did not know each other until they married and were not married for long. He and Katherine Valois were married on the parish church of St. Jean au Marche in June 1420. The following year in December 6, 1421 she gave birth to their only son, Henry VI. Henry V’s hunger for order in his conquered territories had a downside effect which led to his death in the last day of August in 1422. His son became king when he was not even a year old with his uncle Gloucester being named his protector under the will of his father. The glory and fear that Henry V had brought to their great House would be gone under his son’s reign.